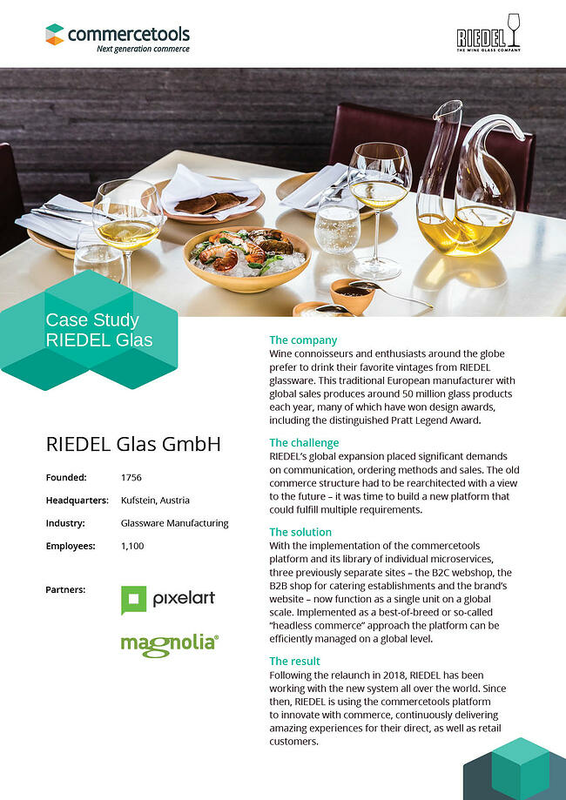 The traditional European wine glass manufacturer RIEDEL had a perfect start on the international market. But with its presence in meanwhile 125 countries, the requirements for communication, ordering and distribution have skyrocketed. Now it’s a matter of building a platform that would make the webshop, the shop for gastronomy and the website as a single unit. The commercetools platform, the CMS Magnolia and the full-service agency Pixelart made it possible.